If your mainboard is showing signs of processor failure or has memory issues or the GPS module has failed, then this is the service for you! 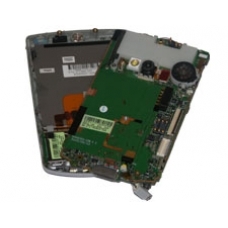 Our experienced repair specialists will replace your faulty mainboard with a HP part, restoring functionality to your unit. This is a replacement motherboard for the hw6910 with integrated quad band GSM/GPRS/EDGE, WLAN 802.11b, Bluetooth 1.2, I..